Today, Apple CEO, Tim Cook, slammed Qualcomm’s “goose plucking” licensing fee in an interview and accused Qualcomm of hiring people to write fake news to smear apple’s image. Both companies who were once in a bromance have since fallen apart and they have not been in contact since the third quarter of last year. Subsequently, Qualcomm responded to the media that in the past 18 months, we have made it clear that we have discussed with Apple at different times how to solve our patent licensing disputes. A Qualcomm spokesperson said that Cook had made misleading comments. 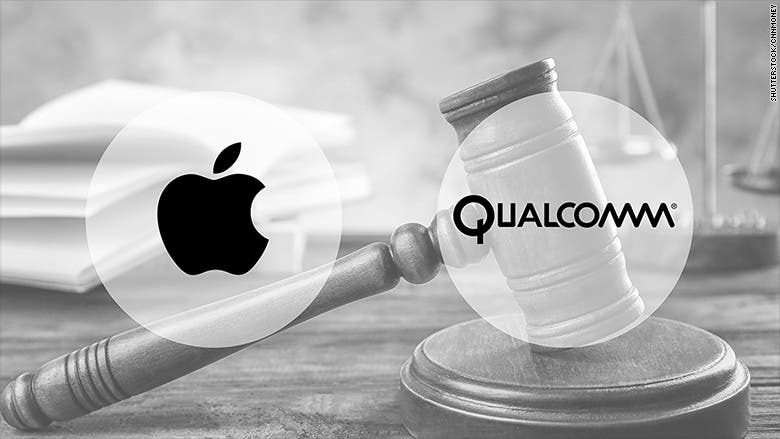 With the recent ban on iPhones in China and Germany at Qualcomm’s request, it seems there is no way back for them except the court decide. Recently Qualcomm CEO and president released a statement which loosely suggested that the company could amend its issues with Apple internally. However, with Cook’s recent statement, that will probably not happen. At present, Qualcomm’s main appeal to Apple is to pay the arrears of $7 billion patent licensing fees, while Apple believes that the fees are too high and unreasonable. In addition, Apple’s enthusiasm may also be due to the FTC (Federal Trade Commission) which launched an antitrust lawsuit against Qualcomm, the case is pending.